For the past five years, Arthur Andersen has been gathering, sorting, and condensing data from the world-class companies it works with to compile its Global Best Practices Database. 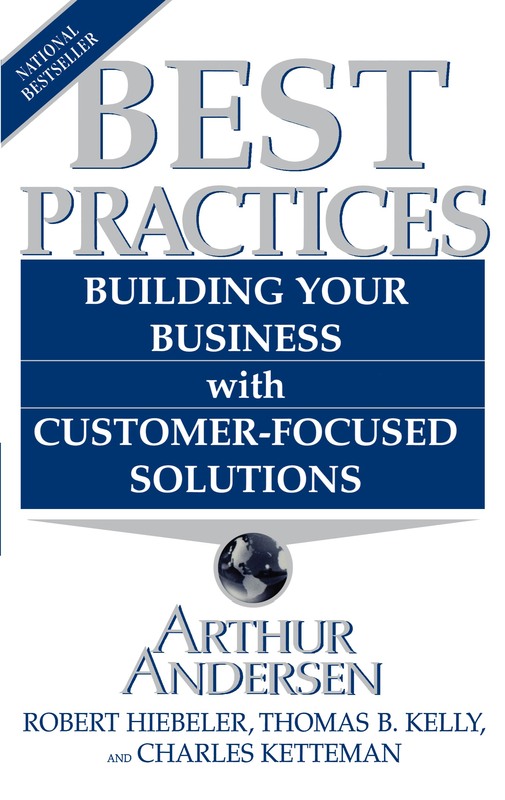 Now, for the first time, Arthur Andersen shares its understanding of how more than forty best-practices companies focus on their customers, create growth, reduce cost and increase profits. Managers of any business in any industry can adapt and apply what those companies do best. Unlike other books based merely on limited anecdotal experience, BEST PRACTICES is backed up by 30,000 pages of active, documented data on hundreds of companies worldwide. With information being the most valuable commodity in business this is both comprehensive and cutting edge - it is without peer as an information resource. 1. What are your company's "Best Practices"? Are there any best practices you can adopt from your number one competitor? Why or why not? 2. Coldwell Banker Relocation Services has a 99 percent client retention rate. How does it keep its customers so happy -- and what can you learn from their strategies? What is your customer retention rate? Does it indicate any trends you can act upon? 3. Over a two year period, Nike increased its total sales to women from 15 percent to 65 percent. How did Nike expand this market segment so quickly -- and what can you learn from their strategy? 4. How do you gather customer input about product design and use? Telephone or mail surveys? Internet bulletin boards? Focus groups? Feasibility studies? To what extent do you involve customers in the design of prototypes? What about their customers? 5. How easy is it for clients or customers to reach someone at your company with a proposed change or refinement? How long does it take for your company to respond? How many people get to see and discuss the proposal?